My name is Jacky Leung. I am a dreamer, a thinker, a madman, a collector, and I love stories. Ok, so I’m a bard, we get it. I have played D&D and other tabletop roleplaying games for over 10 years now, I have finally spread the joys of the game with my closest of friends, and I wanted to share our adventures with the world. The Death by Mage blog is a space to bring inspirations, ideas, and concepts about Dungeons & Dragons and other Roleplaying games to the readers. 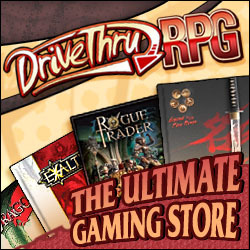 Dungeons & Dragon is the mainstay here, but I do incorporate other RPGs that have influenced my friends and me. I continually write stories, homebrew content for players & GMs, and talk about how to improve your gamemastering. Note: I offer media packages that include featured articles (product reviews, spotlight) along with social media campaigns. You can request a free quote. Access to press kits preferred. You can find out more information here. You can find me also on Facebook, Instagram, and Twitter. If you wish to support me, please check out my Patreon.